The display case measures approx. 34" x 34" x 12"
Crafted from thick museum quality acrylic with custom acrylic brackets inside to mount the Bowcaster. Nothing has been changed or replaced on the piece. All nobs, wires and leather remain as it was when it was displayed at Planet Hollywood. 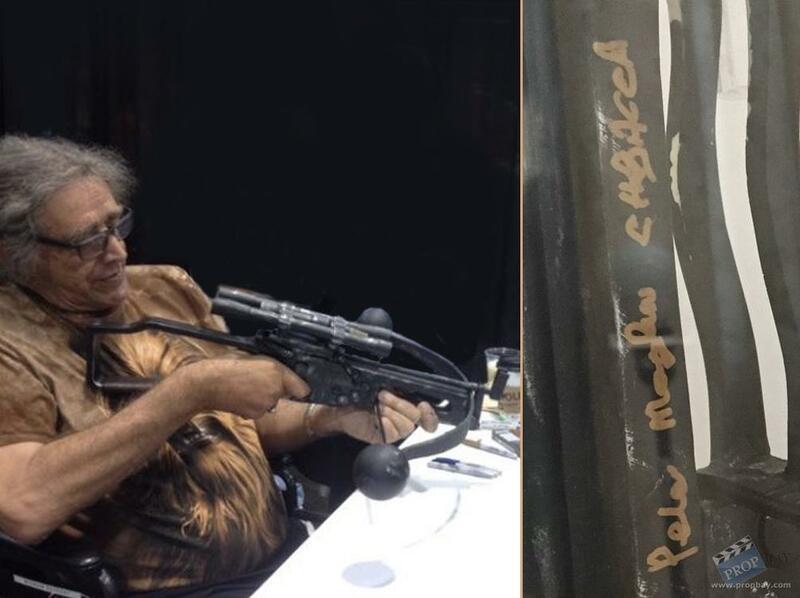 Autenticated at the Star Wars Celebration 2015 in Anaheim by Peter Mayhew. The Bowcaster has been boldly signed in gold by Mayhew. Obtained directly from Planet Hollywood. 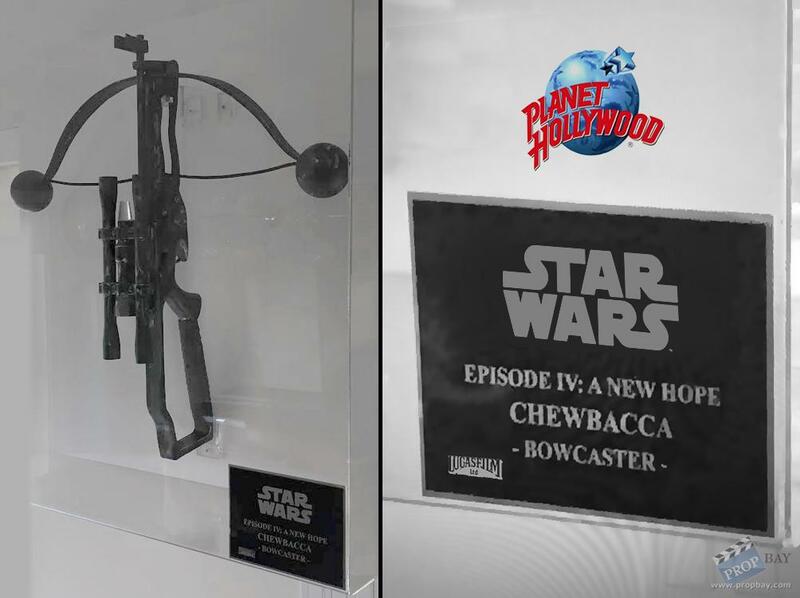 The Bowcaster remains in excellent screen used condition. Added: 06-06-2016 - Viewed: 2112 times.